The following Terms of Service Agreement (the “TOS”) is a legally binding agreement that shall govern the relationship with our users and others which may interact or interface with AkolagTech, also known as AKT, located at 2227 US Highway 1 # 244, North Brunswick, New Jersey 08902 and our subsidiaries and affiliates, in association with the use of the AKT website, which includes www.akolagtech.com, (the “Site”) and its Services, which shall be defined below. Furthermore, the user and member understands, acknowledges and agrees that the Services offered shall be provided “AS IS” and as such AkolagTech shall not assume any responsibility or obligation for the timeliness, missed the delivery, deletion and any failure to store user content, communication or personalization settings. To register and become a “member” of the Site, you must be at least 18 years of age to enter into and form a legally binding contract. Also, you must be in good standing and not an individual that has been previously barred from receiving AKT’s Services under the laws and statutes of the United States or other applicable jurisdiction. It is AkolagTech’s priority to ensure the safety and privacy of all its visitors, users and members, especially that of children. Therefore, it is for this reason that the parents of any child under the age of 13 that permit their child or children access to the AKT website platform Services must create a “family” account, which will certify that the individual creating the “family” account is of 18 years of age and as such, the parent or legal guardian of any child or children registered under the “family” account. As the creator of the “family” account, s/he is thereby granting permission for his/her child or children to access the various Services provided, including, but not limited to, message boards, email, and/or instant messaging. It is the parent’s and/or legal guardian’s responsibility to determine whether any of the Services and/or content provided are age-appropriate for his/her child. The content submitted or made available for inclusion on the publicly accessible areas of AkolagTech’s sites, the license provided to permit to use, distribute, reproduce, modify, adapt, publicly perform and/or publicly display said Content on our network Services is for the sole purpose of providing and promoting the specific area to which this content was placed and/or made available for viewing. This license shall be available so long as you are a member of AkolagTech’s sites, and shall terminate at such time when you elect to discontinue your membership. Photos, audio, video and/or graphics submitted or made available for inclusion on the publicly accessible areas of AkolagTech’s sites, the license provided to permit to use, distribute, reproduce, modify, adapt, publicly perform and/or publicly display said Content on our network Services are for the sole purpose of providing and promoting the specific area in which this content was placed and/or made available for viewing. This license shall be available so long as you are a member of AkolagTech’s sites and shall terminate at such time when you elect to discontinue your membership. For any other content submitted or made available for inclusion on the publicly accessible areas of AkolagTech’s sites, the continuous, binding and completely sub-licensable license which is meant to permit to use, distribute, reproduce, modify, adapt, publish, translate, publicly perform and/or publicly display said content, whether in whole or in part, and the incorporation of any such Content into other works in any arrangement or medium current used or later developed. 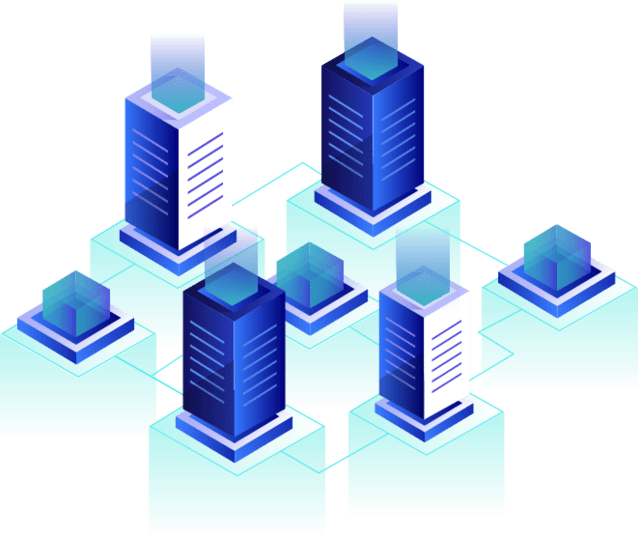 Those areas which may be deemed “publicly accessible” areas of AkolagTech’s sites are those such areas of our network properties which are meant to be available to the general public, and which would include message boards and groups that are openly available to both users and members. However, those areas which are not open to the public, and thus available to members only, would include our mail system and instant messaging. The member or user herein agrees not to replicate, duplicate, copy, trade, sell, resell nor exploit for any commercial reason any part, use of, or access to AKT’s sites. You herein acknowledge that AkolagTech may set up any such practices and/or limits regarding the use of our Services, without limitation of the maximum number of days that any email, message posting or any other uploaded content shall be retained by AkolagTech, nor the maximum number of email messages that may be sent and/or received by any member, the maximum volume or size of any email message that may be sent from or may be received by an account on our Service, the maximum disk space allowable that shall be allocated on AkolagTech’s servers on the member’s behalf, and/or the maximum number of times and/or duration that any member may access our Services in a given period of time. In addition, you also agree that AkolagTech has absolutely no responsibility or liability for the removal or failure to maintain storage of any messages and/or other communications or content maintained or transmitted by our Services. You also herein acknowledge that we reserve the right to delete or remove any account that is no longer active for an extended period of time. Furthermore, AkolagTech shall reserve the right to modify, alter and/or update these general practices and limits at our discretion. As a member of www.akolagtech.com, you may cancel or terminate your account, associated email address and access to our Services by submitting a cancellation or termination request to support@akolagtech.com. THE USE OF AKOLAGTECH SERVICES AND SOFTWARE ARE AT THE SOLE RISK BY YOU. OUR SERVICES AND SOFTWARE SHALL BE PROVIDED ON AN “AS IS” And “AS AVAILABLE” BASIS. AKOLAGTECH AND OUR SUBSIDIARIES, AFFILIATES, OFFICERS, EMPLOYEES, AGENTS, PARTNERS, AND LICENSORS EXPRESSLY DISCLAIM ANY AND ALL WARRANTIES OF ANY KIND WHETHER EXPRESSED OR IMPLIED, INCLUDING, BUT NOT LIMITED TO ANY IMPLIED WARRANTIES OF TITLE, MERCHANTABILITY, FITNESS FOR A PARTICULAR PURPOSE AND NON-INFRINGEMENT. Should you intend to create or to join any service, receive or request any such news, messages, alerts or other information from our Services concerning companies, stock quotes, investments or securities, please review the above Sections Warranty Disclaimers and Limitations of Liability again. In addition, for this particular type of information, the phrase “Let the investor beware” is appropriate. AkolagTech’s content is provided primarily for informational purposes, and no content that shall be provided or included in our Services is intended for trading or investing purposes. AkolagTech and our licensors shall not be responsible or liable for the accuracy, usefulness or availability of any information transmitted and/or made available by way of our Services, and shall not be responsible or liable for any trading and/or investment decisions based on any such information. You herein acknowledge, understand and agree that all of the AkolagTech trademarks, copyright, trade name, service marks, and other AkolagTech logos and any brand features, and/or product and service names are trademarks and as such, are and shall remain the property of AkolagTech. You herein agree not to display and/or use in any manner the AkolagTech logo or marks without obtaining AkolagTech’s prior written consent. At any time, should AkolagTech fail to exercise or enforce any right or provision of the TOS, such failure shall not constitute a waiver of such right or provision. If any provision of this TOS is found by a court of competent jurisdiction to be invalid, the parties nevertheless agree that the court should endeavor to give effect to the parties’ intentions as reflected in the provision, and the other provisions of the TOS remain in full force and effect.